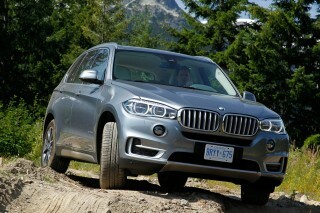 Those who don't need all-weather capabilities should consider the more affordable ML 350 with rear-wheel drive. For active families who need to tow a boat or occasionally head off-pavement–but don't need a third row–the 2014 Mercedes-Benz ML is an excellence vehicle choice. What the Mercedes-Benz M-Class can do, and what it's actually used for, aren't always the same thing, but that's life for a luxury SUV. The M-Class possesses a degree of off-road ruggedness that most owners will never explore, instead choosing to treat it as a minivan replacement, hauling kids from school to soccer practice. 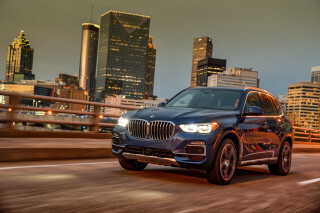 The 2014 Mercedes-Benz M-Class offers many of the same comforts, infotainment, connectivity, and plush luxury features you'll find in the brand's top sedans, like the S-Class--as well as some features that help it standout against other utility vehicles. 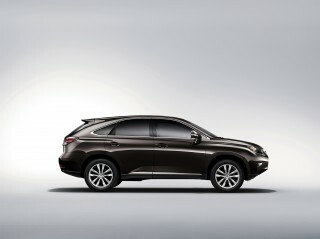 The current M-Class looks more aggressive than past models, but without straying too far from the outward image too much. Inside, it's soft and sedan-like, with swooping curves and sculpted lines making up the instrument panels, center stack and the seven-inch display for the latest version of M-B's COMAND interface. Seating in the M-Class is about on par with that in other luxury SUVs its size. Taller adults can sit in back, in the outboard positions, though it's still a bit of a squeeze to fit three across. Cushions are well contoured, and the front seats especially are like we expect from Mercedes, with all-day support built in. Rear seatbacks are also now adjustable for rake, and there's more than 36 cubic feet of cargo space behind the second-row seats. With the last generation of the ML, Mercedes made considerable advances in refinement and materials, bringing the cabin appointments and ride quality up to par with that of the brand's sedans. In this new third-gen version, it's even better—especially the way everything fits. Although it does flaunt its off-road side in appearance, the 2014 Mercedes-Benz M-Class drives like a luxury sedan most of the time, with a smooth, refined character behind the wheel. Powertrains are strong and responsive; handling is secure; and roadholding is confident. The new 302-hp base V-6 engine in the M-Class, a 3.5-liter, 60-degree V-6, was completely new last year, and we think it's one of the best V-6 luxury engines. But we'd still go with the torquey, fuel-efficient BlueTEC turbodiesel V-6. The gasoline engines especially tend to work well in concert with the seven-speed automatic transmission, singing all the way up the rev range with no rough edges. 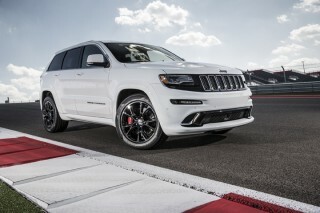 ML550 models include a stronger, direct-injection 4.6-liter V-8 that makes 402 hp and 443 pound-feet of torque. And at the top of the range--and new for 2013--is the new ML 63 AMG, which comes with a 5.5-liter biturbo V-8 making 518 hp and 516 lb-ft. Other upgrades include five-spoke, 20-inch AMG wheels, and if you opt for the AMG Performance Package you'll have 550 hp and 560 lb-ft. Some customers will still expect the off-road ability to be here, so Mercedes-Benz hasn't dumbed that down too much or lightened the M-Class' towing or basic trail ability. The 4MATIC system's electronic, stability-system-linked 4-ETS torque distribution can send nearly all engine torque to whichever single wheel can use it. The suspension is also remarkably versatile for a combination of on-road use or off-roading. Opt for the off-road package, and you get an automatically detaching roll-bar system. Towing capability is here, too--up to 7,200 pounds, and at its best in torquey BlueTEC guise. Some of those standouts include a heated or cooled cupholder that can heat up to 141 degrees F. And there's an iPad docking station—positioned between the front seats and in view for rear passengers—that will be available first in this product but will soon be available for all Mercedes-Benz models. A night-vision system is among the standalone options, as is an Advanced Park Assist system, which helps steer the vehicle back into a parallel-parking space as the driver controls the accelerator and brakes. 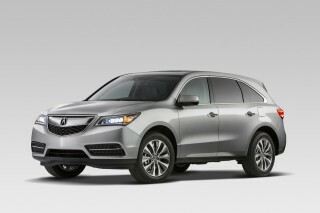 A sedan-like cabin and an uncontroversial shape put the M-Class in the right luxury-SUV enclave. Now three years into its current design, the 2014 Mercedes-Benz M-Class may not look much different than past models–it's a practice in careful and deliberate evolution–but its interior feels classier and more upscale than previous generations of this mid-size crossover. The proportions on the 2014 M-Class will look and feel familiar, but there's more detail here than there has been in the past. The front end is more imposing, with large air dams and a broad grille, and the sides have more lines and creases that extend all the way back to the C-pillars. You'll notice its prominent shoulder-line from just about any angle, as it wraps all the way to the back of the M-Class, where, perhaps, its lines are most conservative. While the exterior looks tasteful, if a bit familiar, the interior of the M-Class will be a revelation even if you're trading up from a lease on a late-model M-Class. Dumping the chunky look of the former vehicle entirely, the M-Class adopts a design that's clearly influenced by the S-Class sedan flagship, with the gently sculpted lines and swooping curves of Mercedes' sedan instrument panels. Complementing the look is a 'power dome' center stack. Top and center in the completely redesigned dash is a seven-inch display, flanked by air vents, with the latest version of M-B's COMAND screen-based interface. Standout materials such as diagonal stitching for the seats add a fresh, high-class touch, and up-level models get an upholstered dashboard. The ML63 AMG is a blast on-road; most other M-Class SUVs have moderate off-road capability. Looks can be at least a little deceiving here. While the 2014 M-Class may appear tough enough to spend time off-road, it's actually happiest when it's treated like a luxury sedan. 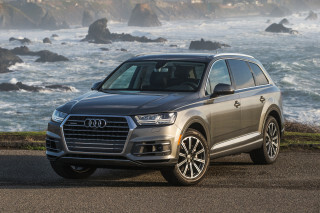 Its roadhold is confident, handling is secure, and the powertrains are willing and responsive. In this generation of M-Class, Mercedes-Benz has fixed many of the attributes that we thought of as undesirable in the previous generation--leaving what's a very pleasant vehicle to drive, even on a curvy road. The new electromechanical steering is superb; it doesn't quite have the dead on-center heft that some former M-B systems have had—as well as the remote feel that, puzzled as we might be, the brand had considered a desirable trait—but that's fine. You'll find handling secure and confident, and the variable-ratio rack is handy for parking. A vague brake-pedal feel is our only complaint—though the brakes can haul this big ute down from autobahn speeds with total confidence. Some customers will still expect the off-road ability to be here, so Mercedes-Benz hasn't dumbed that down too much or lightened the M-Class' towing or basic trail ability. 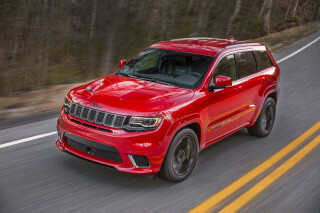 The all-wheel-drive system's electronic, stability-system-linked 4-ETS torque distribution can send nearly all engine torque to whichever single wheel can use it. The suspension is also remarkably versatile for a combination of on-road use or off-roading. Opt for the off-road package, and you get an automatically detaching roll-bar system. The base V-6 engine in the M-Class, a 3.5-liter, 60-degree V-6, was completely new last year, and we think it's one of the best V-6 luxury engines. Power is at 302 horsepower, and torque is at 275 pound-feet, and this engine has a nice even powerband to feel sprightly from a standing start or when pressed to pull off a quick pass. It works in concert with the seven-speed automatic transmission and sings all the way up the rev range with no rough edges. ML 550 models include a stronger, direct-injection 4.6-liter V-8 that makes 402 hp and 443 pound-feet of torque; but our favorite 2014 M Class model remains the ML 350 BlueTEC. If 'wafting' up to speed easily (without downshifts) on the highway, cruising effortlessly near triple digits, and getting gas mileage that won't place a frown on the faces of your more earth conscious friends are all priorities, you'll find this model the best fit, too. M-B has reworked this engine, too, to make 240 hp and 455 lb-ft of torque. At the top of the range is the ML 63 AMG, which comes with a 5.5-liter biturbo V-8 making 518 hp and 516 lb-ft. Other upgrades include five-spoke, 20-inch AMG wheels, and if you opt for the AMG Performance Package you'll have 550 hp and 560 lb-ft.
With a tow rating of 7,200 pounds, the M-Class is a very capable tow rig, too—especially in torquey BlueTEC guise. Excellent seats and a fine eye for detail sets the M-Class on a comfortable pedestal. The 2014 Mercedes-Benz M-Class is a luxury vehicle above all else, and materials, ride quality and comfort are superb across the board. The cabin experience is tight, quiet, and isolated. There's a rather wide difference between the two modes (Comfort and Sport) of the available air suspension and adaptive damping system, which play a major part in pairing isolation and control. Comfort provides more of a traditional luxury-car ride, while with Sport you get a somewhat crisper feel at turn-in, with a little more road noise and coarseness. As you might expect in a Mercedes-Benz, the M-Class has excellent seats--well-contoured and soft, yet all-day supportive. There's space for taller adults in the back seats, too, although fitting three across will prove tight. You can however adjust the rear seatbacks, and even with them up and in place there's more than 36 cubic feet of cargo space behind them. Mercedes made considerable advances in refinement and materials with its sedans in recent years; and with 2012's redesign it brought many of those improvements to the M-Class. And to an issue that's been criticized for years, the company has repositioned the turn-signal lever from the 8:00 position to the 10:00 position. And thanks to much-improved aerodynamics—and a spoiler at the back of the roof—the interior is noticeably quieter than prior versions of the M-Class, or most other utility vehicles with this kind of profile. The M-Class has earned the IIHS' Top Safety Pick+ award--Mercedes' first. Safety has been a strong suit for Mercedes-Benz for decades now–with technologies and design going above and beyond federal requirements. The 2014 M-Class is no exception. The M-Class gets top 'good' ratings in all crash-test categories from the Insurance Institute for Highway Safety (IIHS), along with the group's Top Safety Pick+ nod (for models built after August 2013). The National Highway Traffic Safety Administration (NHTSA) also gives the M-Class its top five-star rating. Active safety feature and drivers' aides are what really push the Mercedes-Benz vehicles beyond the competition. Attention Assist, which takes tabs on driving style to help identify the signs of drowsy driving—triggering a coffee-cup icon and some warning beeps—is now a standard feature on all M Class models. Its available Distronic Plus adaptive cruise control is one of the most sophisticated and unobtrusive systems on any vehicle—capable of coming to a full stop with traffic and restarting, and potentially reducing fatigue. Pre-Safe, Lane Keeping Assist, and Blind Spot Assist (all optional) all provide the sort of alerts that might make a split-second difference. COMAND is still a kludgy interface for infotainment controls, but we've no qualms with the M-Class' luxury features. The 2014 Mercedes-Benz M-Class can be equipped with many of the same features available in the brand's flagship S-Class sedan, making this one very plush and high-tech SUV. Even the base-level equipment is pretty impressive. All ML 350 and ML 350 BlueTEC models include power heated front seats and a power liftgate--both items that are a step up in some rival models. The newly upgraded sound system (or premium Harman/Kardon system) provide some varied and superb-sounding entertainment, and include an SD card slot, 10 GB of audio storage, CD/DVD compatibility, HD radio, weatherband, and Bluetooth audio streaming—as well as Bluetooth hands-free calling. There's also a USB port within the center console. Some of the standout options include a heated or cooled cupholder that can heat up to 141 degrees F. And there's a new iPad docking station—positioned between the front seats and in view for rear passengers—that will be available first in this product but will soon be available for all Mercedes-Benz models. A night-vision system is among the standalone options, as is an Advanced Park Assist system, which helps steer the vehicle back into a parallel-parking space as the driver controls the accelerator and brakes. 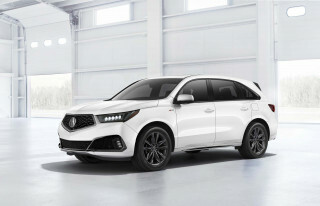 Other extras are grouped into Premium packages, including, for instance, a Dynamic Handling Package that adds adaptive damping and an air suspension system. We're still not all that enthused about the latest version of M-B's COMAND screen-based interface, which includes a rotary/button controller, placed just ahead of the driver's right-hand armrest. There's simply too much looking at the screen required--even once you begin to remember the menu system. Thankfully it does include a couple of programmable shortcut buttons. With the turbodiesel six, the M-Class is very fuel-efficient; don't expect anything close in the ML63 AMG. The gasoline-powered ML 350 is about par for the class, at an EPA-rated 17 mpg city, 22 highway. But it pretty much goes downhill from there. 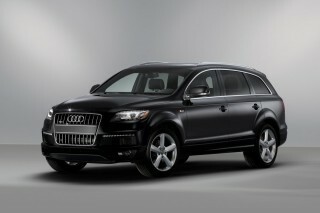 Opt for the more exclusive ML 550, and fuel economy ratings plummet to 15/20 mpg. And go for performance with the ML 63 AMG, and you'll see 14/18 mpg on the window sticker. 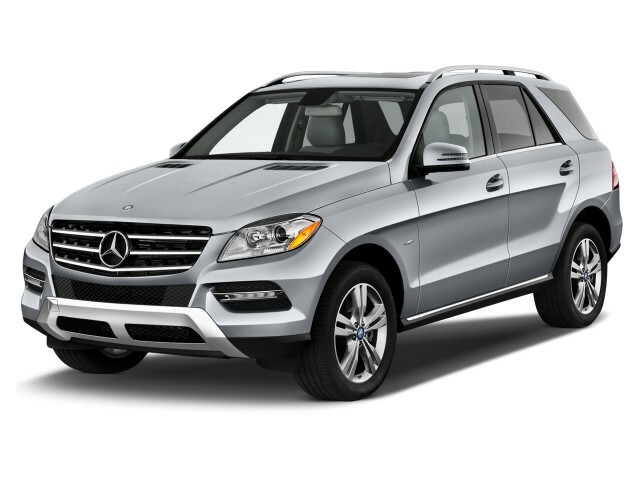 If you want to think green, yet get an off-road or towing-capable luxury SUV that doesn't feel compromised in any way, choose the 2014 Mercedes-Benz ML 350 BlueTEC; you'll get EPA fuel economy ratings of 20 mpg city, 27 highway, which enables a driving range of about 650 miles. It's already our pick of the two V-6 models, but its green credentials make it more of a no-brainer, despite the ML 350's much-improved refinement. Our second Mercedes. Have put 40K miles on this vehicle over the last 18 months. Extremely satisfied. NO quality, performance, or reliability issues. Would be nice to have optional third row seating. Drove... Our second Mercedes. Have put 40K miles on this vehicle over the last 18 months. Extremely satisfied. NO quality, performance, or reliability issues. Would be nice to have optional third row seating.